Our bin was pretty easy this time, but still a HUGE hit. I bought blue water beads from Michaels, but Amazon has similar ones here. They take a few hours to absorb water. Once they were ready I added some plastic shark, whale and fish toys we had on hand, but this Ocean Toob or Coral Reef Toob would have been nice! I wanted something to represent seaweed, but couldn’t think of anything that was ok to get wet. Any ideas? 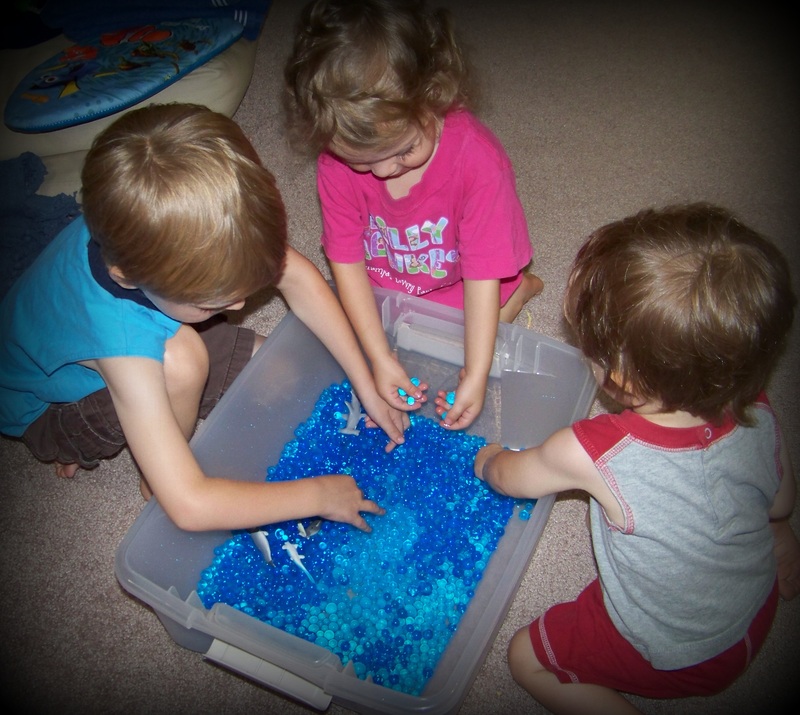 This entry was posted in Sensory Bins, What We're Doing and tagged bin, fish, Ocean, sealife, Sensory, water beads. Bookmark the permalink.